Kalaheo Café Gift Cards Give the gift of Dinner, Breakfast, Lunch, Coffee or logo gifts with a gift certificate from Kalaheo Café & Coffee Co.
Kalaheo Café Logo Hats Like having espresso poured on your head. South Shore Cycling Club Jerseys Caffeine is a legal performance enhancer. So is our jersey. Welcome to Kalaheo Café & Coffee Company on the Garden Island of Kauai. You’ll find us in the lush mountains of upcountry Kalaheo where over 4000 acres of robust coffee thrive in the Hawaiian sun. Originally opened in May of 1994, our little restaurant is a favorite of Kalaheo locals and Kauai visitors alike. Our staff is fun and friendly, the food is hearty and delicious, and our coffee drinks are a great way to kick-start your day. Perhaps we’re most famous for our yummy breakfast menu with signature choices like the “Upcountry Breakfast” and “Bagel Benny”. But we’re much more than just the “most important meal of the day!” Our lunch menu has something to please every tastebud: from crisp salads with heaps of local veggies to our deli sandwiches and burgers (with cilantro garlic french fries on the side!). If breakfast and lunch power the day, our dinner menu lights up the night! It’s where casual dining and savory flavors meet fresh local ingredients for a meal to remember! Of course, “Coffee Company” is part of our name and Kauai, Kona, and Hawaiian coffees are our specialty! We not only enjoy selling these terrific coffees from throughout Hawaii, we very much enjoy drinking them too! We search for the finest island coffees and roast them to perfection. By popular request, we’ve added an online coffee store to our site so you can enjoy a taste of the Hawaiian islands at home. 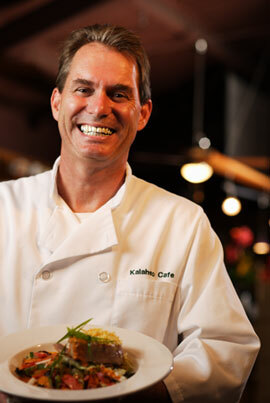 Thanks for stopping by our restaurant website—we hope to see you in person on Kauai very soon! If you’ve dined with us before, stop by our Facebook, Yelp, TripAdvisor or Zagat pages and post a comment or let us know what you think.